Just a Little Piece of Heartburn is Tom Cheshire’s first poetry collection, but it doesn’t read like so. It’s a release from Safety Third Enterprises and you can order it here. 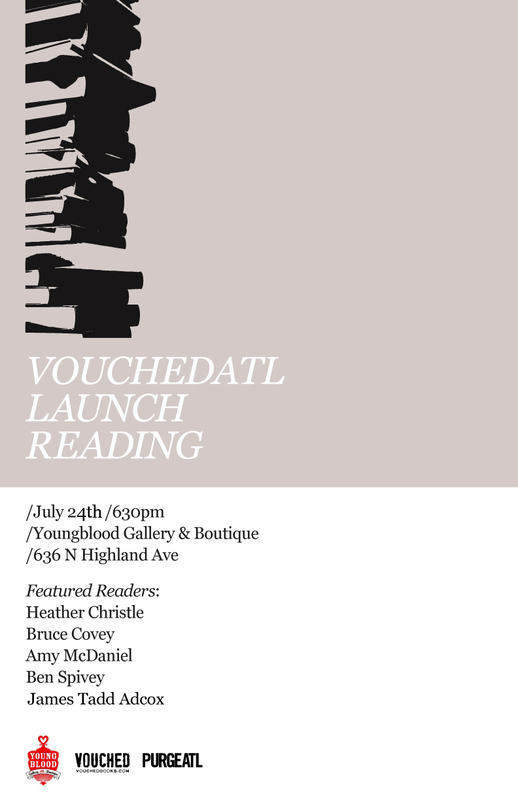 For all my ATLiens, PurgeATL and Safety Third are hosting a release reading for Tom this Sunday, August 21st at Young Blood Gallery starting at 6:30pm. It will be a thing of wonder and glory. The hesitation at the bottom of the glass, the thought No, I’ve already had too much… or How did this disappear so quickly? and sometimes even I’ll need about three more of these… either heartbreak or pleasure, you feel something and order another because it burns…Just A Little Piece of Heartburn takes you to that moment and keeps you there in a choke-hold, makes you think why the burn?